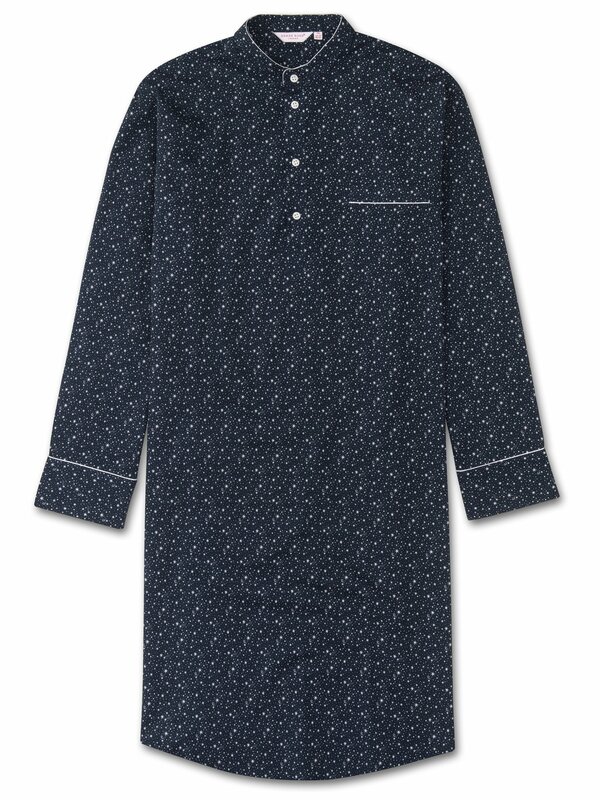 Staying true to our original design and shape, this nightshirt features a four button pullover front, neckband collar and breast pocket. Made from lightweight cotton batiste, practicality and comfort is key. The model is 6'1" / 186cm tall with waist size 32" and chest size 40". He wears a size Medium.